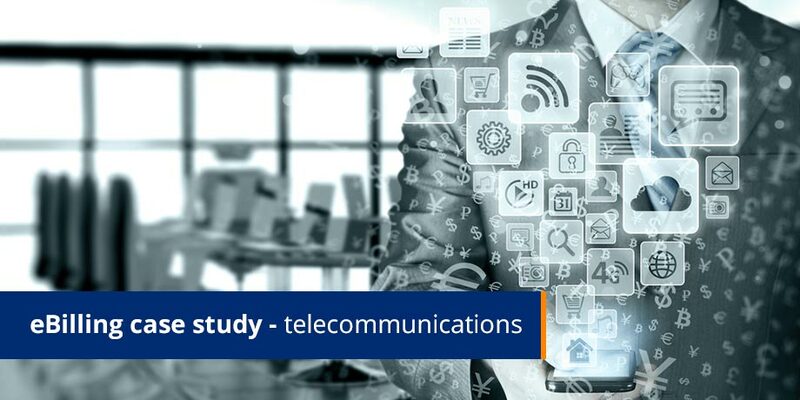 As promised, herewith our latest Case Study: This one is from the Telecommunication Service Provider sector and details the results of our last 14 months work for a subsidiary of one of the largest mobile phone service provider companies in the world today. This Telecommunication Service Provider was established in 1994. Based in Johannesburg, South Africa, this Pan-African cellular communications company services 21.5 million customers in South Africa, Tanzania, Democratic Republic of the Congo, Mozambique and Lesotho. The company has a 57% share of the South African market, Africa’s largest and most profitable cellular market. We were awarded this secure ebilling project on 13th February 2005. The project involves consumer & corporate mobile phone bills delivered via encrypted email (‘PUSH’ ebilling) directly into the recipient’s inbox. There is no need to visit any website to view the entire bill including all call detail, bill stuffers and regulatory information. Every email bill is a personalized securely encrypted, offline interactive HTML bill with an embedded data file, sorting and categorization functionality (between private and business calls) and consolidation of multiple bills into a single email attachment. This project is run on an outsourced, managed ASP model at the Africa Data Center at Striata Africa Head Office in Johannesburg. Billing is monthly and covers multiple bill types, newsletters and other customer communication. Reporting is fully automated and extensive. We deliver the following consolidated reports: emails sent, delivered, undelivered & bounced, opened and when. (Including detailed SMTP logs and any links that were clicked on.) Secure website reporting is also available through the MyStriata web interface at any time. The company began delivering Striata Secure eBills on 7th March 2005. This was one of Striata’s fastest project implementations to date – less than four weeks! In the 14 months since then, we have successfully increased their ebilling & paper turn off by 7%. In order to drive adoption, Striata has recommended and implemented mobile text message campaigns. The subscriber receives a ‘no charge’ text message to their mobile phone and is able to reply with their email address. The Striata platform automatically collates these email addresses and delivers them in batch format for upload to customer database. Going Forward: This successful Telecommunication Service Provider continues to aggressively gather customer email addresses at all customer contact points and through the Striata Mobile Text Messaging campaigns. Their goal is to turn off an additional 10% paper bills per annum. International Striata Conference: Striata held its twice annual international conference this past week in a sunny but cold South Africa. Reports from Australia, Asia, the UK & Europe and South Africa are very positive and our company continues to grow steadily in all regions. We now have just over 160 customers in eight countries, across three main verticals; Financial Institutions, Telecom & Utilities. ‘PUSH’ email billing is growing exponentially in North America. We look forward to bringing you many new case studies over the course of this year.